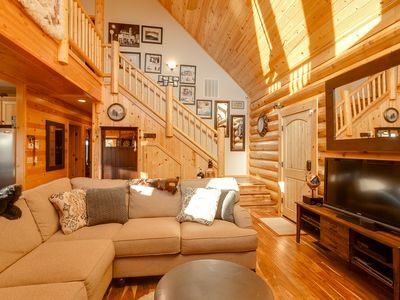 Stunning lake and ski slope views at this log cabin style two story mountain chalet with soaring 20-foot ceilings. 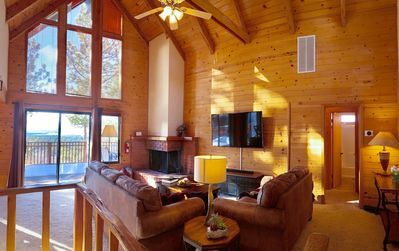 Enjoy your very own pool table, hot tub, two-player arcade machine with over 60 classic games, and home theater with a 65" UHD TV. 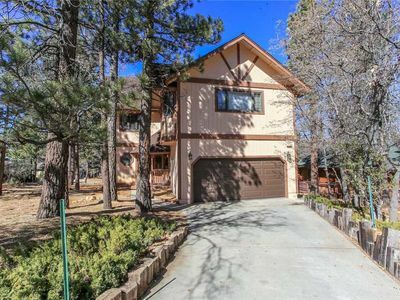 Enjoy the cozy wood burning fireplace, washer and dryer and large kitchen that are just the beginning of this upscale property located at the top of Moonridge. 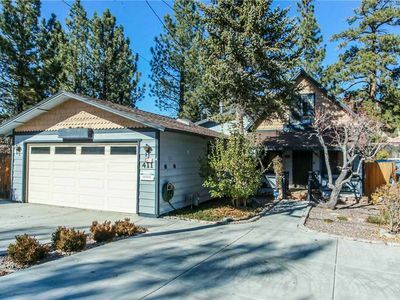 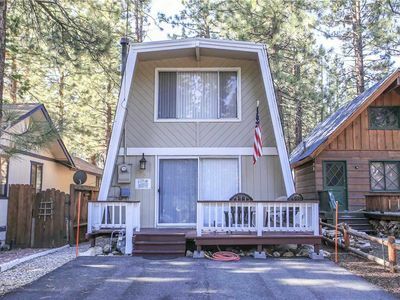 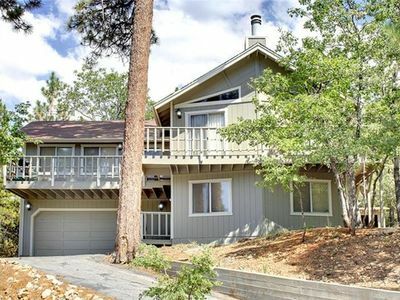 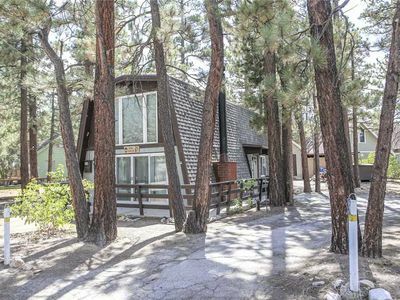 Huge two level deck space with stunning lake view vistas of Big Bear Lake and Snow Summit mountain. 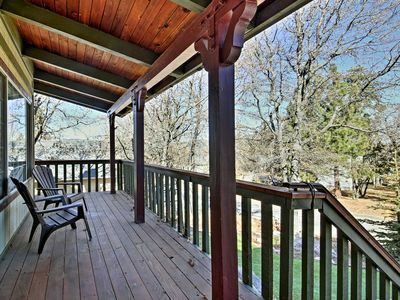 Deck features hot tub, BBQ grill, dining table, chaise lounge, cocktail table and porch swing. 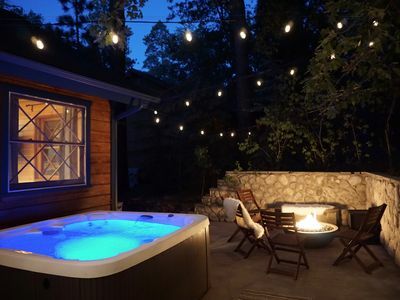 Perfect for entertaining, relaxing, BBQ, sunset and star gazing. 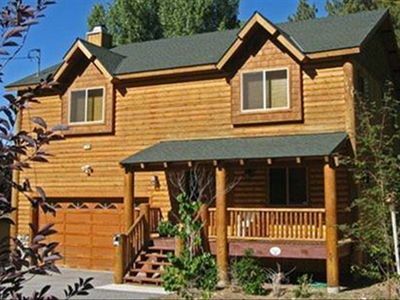 Witness the incredible fireworks over the lake on holidays year round, all from the privacy of your own deck. 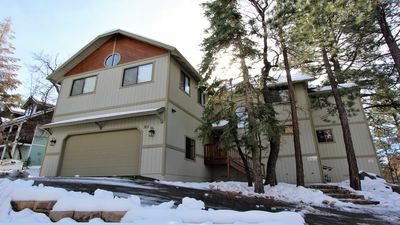 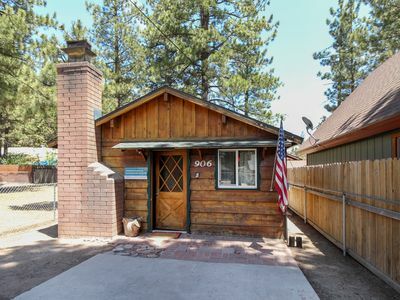 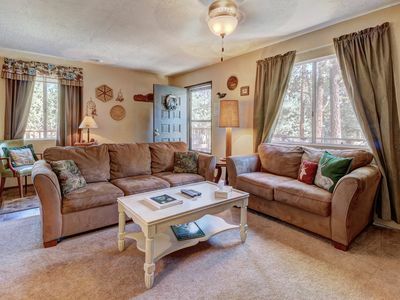 Close proximity to zoo, ski slopes, lake and golf course. 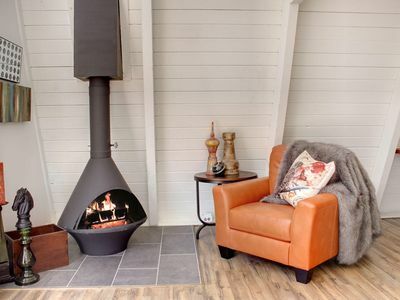 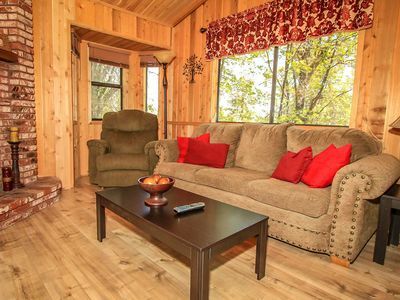 A Humble Hilltop Hideaway - WiFi, and Cozy Fireplace! 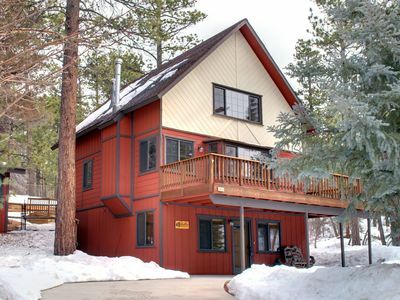 Cozy Mountain Retreat, Newly Renovated, Nearby Lake & Skiing, Woodburning Stove! 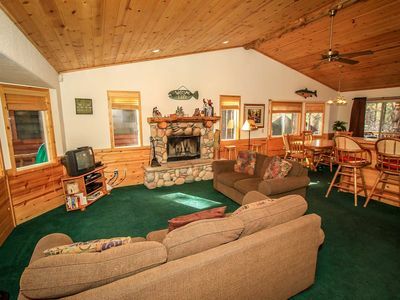 Mountain Hideaway: Huge Game Room + Master Bath with Jetted Tub & Steam Shower! 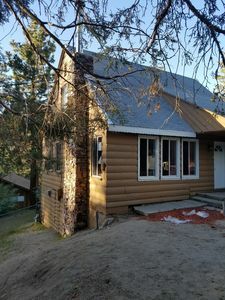 Pinewood Escape - Walk to Lake, WiFi, Roku with Netflix! 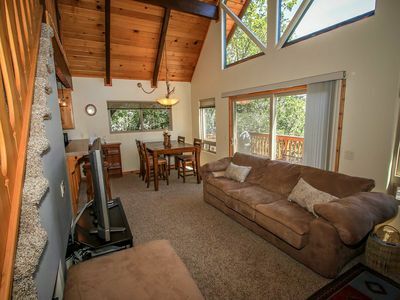 The Nut House - Game Room with Pool Table, Sports Channels, WiFi and Slope Views! 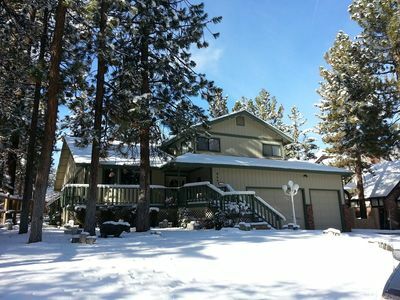 ★Winter Wonderland Cabin★Modern, FirePit ,HotTub, Foosball - Location!! 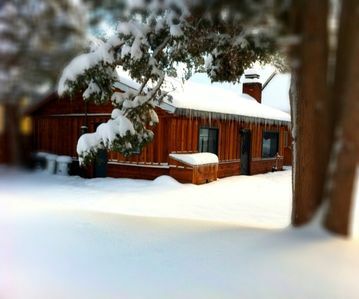 Meadow Retreat - Foosball Table, WiFi With Cozy Fireplace!